A year on from his visit to Gibraltar and the inaugural Gibunco Gibraltar Literary Festival, I had the opportunity to catch up with Chef Ken Hom to ask what he thought about Gibraltar’s cuisine and his advice on Chinese cooking. 1. 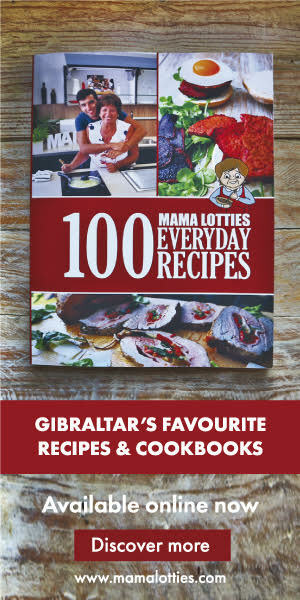 It was a pleasure having you cook at a lunch at the Gibraltar Literary Festival last year. Did you get a chance to try any of the local cuisine whilst you were over? Yes but not enough! Any favourites? I love your fish and seafood, simply cooked. 2. As one of the forefathers of TV Cookery, what advice could you give anyone wanting to participate in live cooking shows such as Gibraltar’s Rock Chef? Be yourself and share your passion for cooking. Don’t try to be too elaborate and remember, it is flavours that count. 3. Food seems to be at the heart of every Gibraltarian conversation. What excites you about food? 4. What’s the best piece of advice you can offer someone trying to cook a Chinese dinner? Don’t try to be like a Chinese restaurant. Keep your menu simple. Make one stir-fried dish, one steamed, one braised (cooked ahead of time) and serve plenty of wine! 5. I always speak about how much my mother and grandmother inspired me and taught me how to cook, but who taught and inspired you? My mum who cooked delectable home cooked Chinese dishes and my uncle Paul whom I worked for in his restaurant. He really taught me how to cook. 6. Gibraltar’s Maltese, Italian and Spanish ancestry inspires Gibraltarian food, to name a few; do you think there could be a chance for a Sino-Gibraltarian inspired dish? Sure why not? Gibraltar is very open to influences, so that would be natural. 7. Which, from your large range of cookbooks, would you suggest for a beginner? My Complete Chinese Cookbook (BBC Books), which has beginner dishes, to very complicated ones. But it is full of information that is perfect for a beginner.